ughhhhh, ive been working the past 2 weeks for my brother's electrical company. Im a temporary electrician! hahaha anyway, im in between projects and one of his workers got hurt so I agreed to fill in. 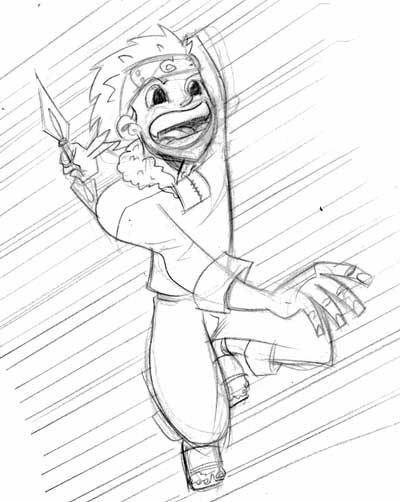 Meanwhile i havent had a chance to sketch a damn thing, so heres a reallyyyyyy fast, really quick sketch of a manga character called Naruto. I dont follow manga at all but it was a monday fun sketch on Oeming's message board at jinxworld so i decided to give it a shot.